Do you drink liquid read-to-go breakfast cereals? Read below to see how they stack up and what’s really in them. 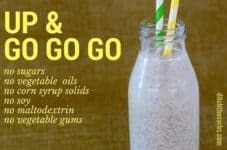 This sugar free up and go go go is a mega fast breakfast for those who need to get out of the house super quick and stay sustained until lunchtime. 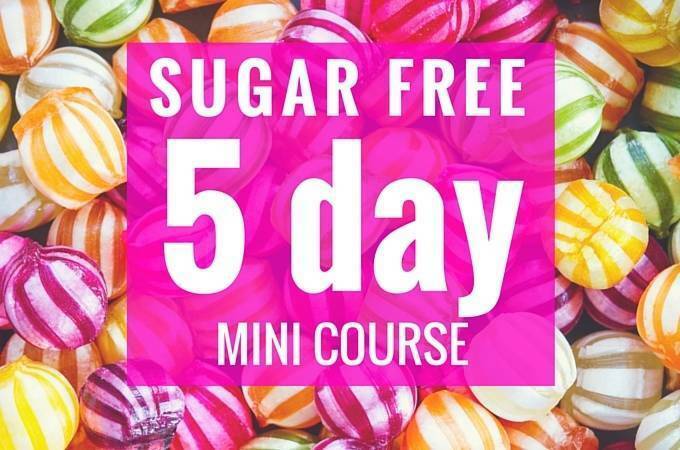 No nasties, no added sugars, no grains and no unhealthy processed oils. All made in under 3 minutes. You may have seen various types of ‘ready to go’ liquid breakfast cereals which contain incredible amounts of sugars, high fructose corn syrup, grains, soy, preservatives, additives, fortified and various vegetable/seed oils. Their combination of sugars and nasty oils are a disaster in the morning, and certainly nothing to send your kids to school drinking. They are advertised as a nutritious way to start the day, especially marketed towards kids who start early sports or a great meal replacement on the way to the gym. My thoughts are that it’s probably better to stay at home and have a nutritious breakfast than trying to run off the sugar and oxidised oils. Remember “you can’t exercise your way out of a bad diet”. Save your time by skipping the gym and make a decent breakfast. Move more, exercise less. Watch the video at the end of the post to see why it’s best to avoid cereals and how they have actually changed the way we live. What’s In Ready-To-Go Liquid Breakfast Cereals? So let’s see how some of these liquid breakfast replacements stack up. If you make your own ready-to-go breakfast, not only is it healthier and lower in carbs and sugars, but more importantly it won’t contain all the other nasties that commercial products do. Take a look at the label below. How many sugars can you spot? How many seed oils? How many additives? Fortification? Have they hidden high fructose corn syrup in there but under a different name? This is not breakfast, this is a science experiment. The above values were incredibly difficult to find from the companies websites. Sources :: Nutri Grain, Up& Go, Coco Pops, VitaGo, Oats Express. The serving is larger (approx 330ml) than the standard 250ml liquid breakfasts. The majority of the sugars are lactose from the natural unsweetened yoghurt. It has almost double the protein, three times the fibre and half the net carbs. This is higher in carbs than most low carb breakfast recipes, but still incredibly low compared to commercially available breakfast drinks and high in protein and healthy fats to keep you up and go go go for longer. 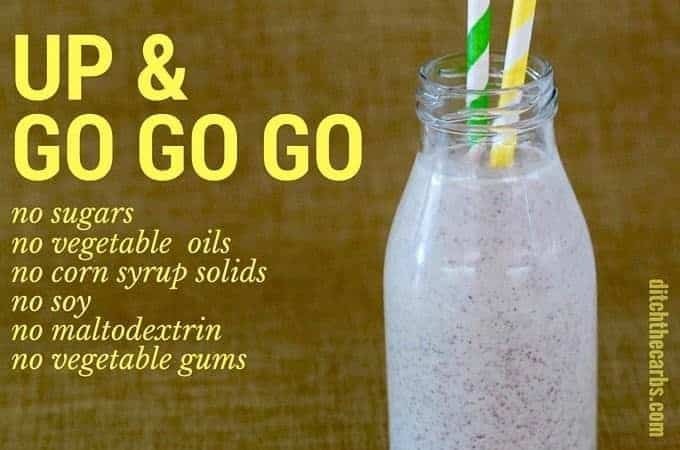 There are much lower carb breakfasts, but for a quick breakfast on the go made with real ingredients in under 3 minutes, sugar free up and go go go is a great healthy option. 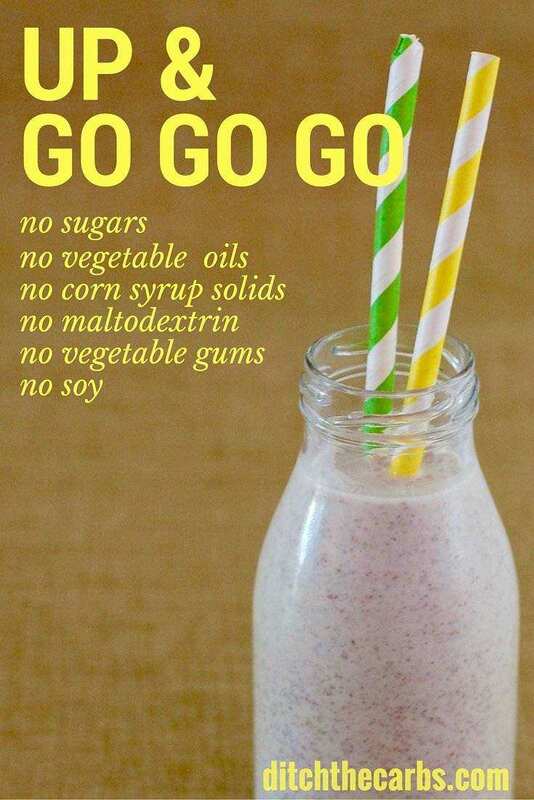 Sugar free up and go go go is a fabulous quick and easy breakfast on the go each morning. Especially great for those who need to jump out the door in a flash. No more sugars and grains. 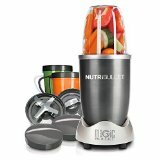 Place all the ingredient in a blender or smoothie maker. Serve immediately or can be kept in a cool thermos. Just shake well before drinking. Here’s a video I have shared before, but I believe it is worth sharing again. Because if you understand what is wrong with cereals and convenience foods, you will understand what is wrong with modern food production and how it changes how we actually live. You could trim this recipe right down carbs wise and it’d still be delicious. Use full fat chobani, and less of it. Or maybe even softened cream cheese. Sub in heavy (50%+ milk fat) cream. Choose unsweetened almond milk, or even better, macadamia. Use the lowest carb nut butter you can find. 13 net carbs if one is aiming for 20 a day it doesn’t leave a lot. Can you maybe come up with something lower or can some ingredients be removed to lower the carbs. This is aimed for those kids who are running out the door who would normally grab a liquid breakfast. Sorry, I don’t have a keto version yet. 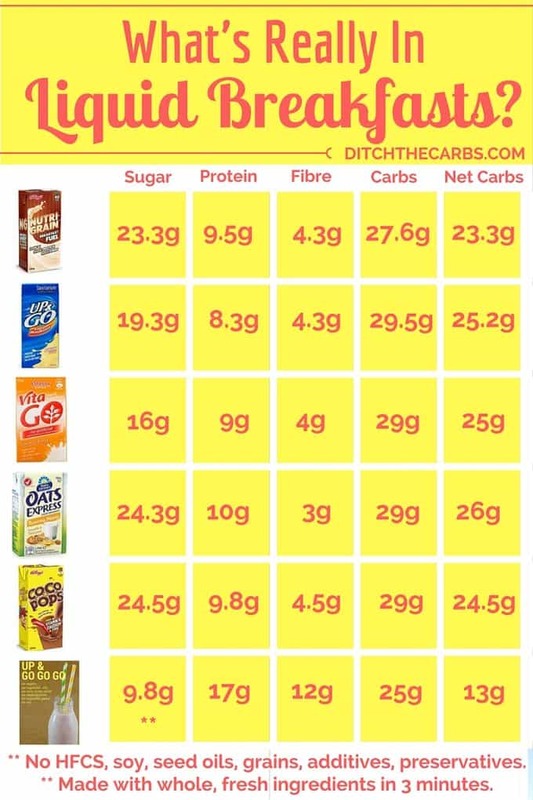 Please tell me where these 25g of carbs are hiding? in which ingredients? They are predominantly coming from the milk, yoghurt and chia seeds. There is also 12g fibre from the chia seeds so it is 13g net carbs. Can the coconut cream be replaced with dairy cream or would that make it too high in carbs and sugars? 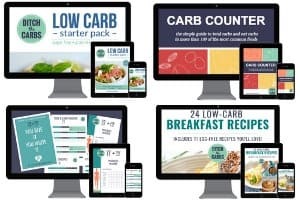 Hi thanks for this wonderful recipes, but 12 carbs and 9. 8 sugar?? Isn’t this too much in one serving?? Yes it is a lot higher than most of my breakfast recipes here, but the recipe is mainly meant for those who are used to grabbing those hideous liquid breakfast drinks. So compared to those, is actually low(er) carb. With all recipes, simply choose what its in with your goals and limits. Much more appealing than the cheese stick I grab and run out the door with. LOL. Thanks, Libby!